This Post is written in english, since this YPSI Seminar will be held in english. For the first time my friend and colleague Juan Carlos Simo will come to Europe to teach. And we are delighted to host him at the YPSI. Juan Carlos is by far the most successfull Personaltrainer in the Caribbean, has successfully run multiple PT Gyms, produced many outstanding Before’n’After Transformations and worked with general population, entrepreneurs, two Hollywood celebrities as well as athletes from multiple sports such als MLB Baseball Players Julio Lugo, Robinson Canó, Jean Carlos Segura and legendary David Ortiz as well as dozen of physique competitos such as IFBB Pros Rafael Cabrera and Jorge Estrella. 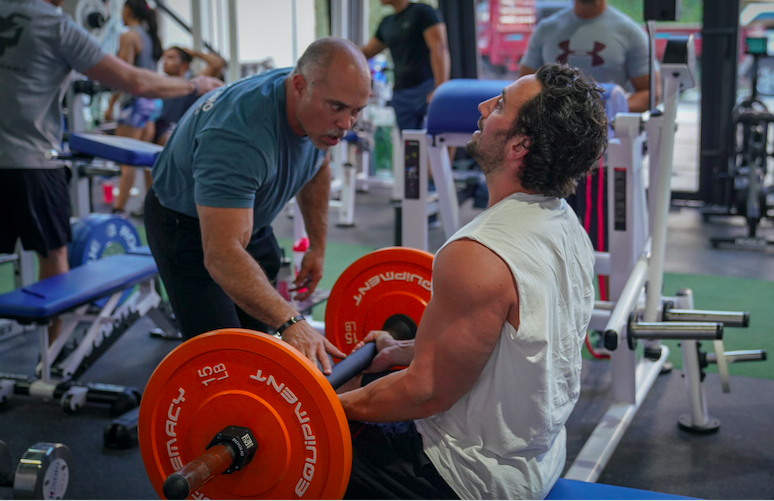 In January of 2019 he opened his fifth gym, the „Human Performance Center“ in Santo Domingo, dedicated to Personaltraining and Regenerative Medicine where he has half a dozen Personaltrainers, two Medical Doctors, one Cardiologist, and one Doctor specializing in Regenerative Medicine and Hormones on staff. He has developed a wealth of knowledge and experience in the field training himself for over 34 years and working as a Coach and Trainer for over 20 years. He was a competitive bodybuilder himself in the past and in the last decade he primarily studied functional medicine with organizations such as the Institute of Functional Medicine and the A4M using this approach on nutrition and supplementation applied to his general population clients as well as athletes and bodybuilders. He will teach a 2 day course on his approach to Training & Nutrition at the YPSI in Stuttgart this summer. – Eating for strength vs. eating for size and bodybuilding – what is the difference? This day will be about 100% theory due to the nature of the topic. Picture: Juan Carlos Simo coaching Roan Heming through a Giant Set for Arms.